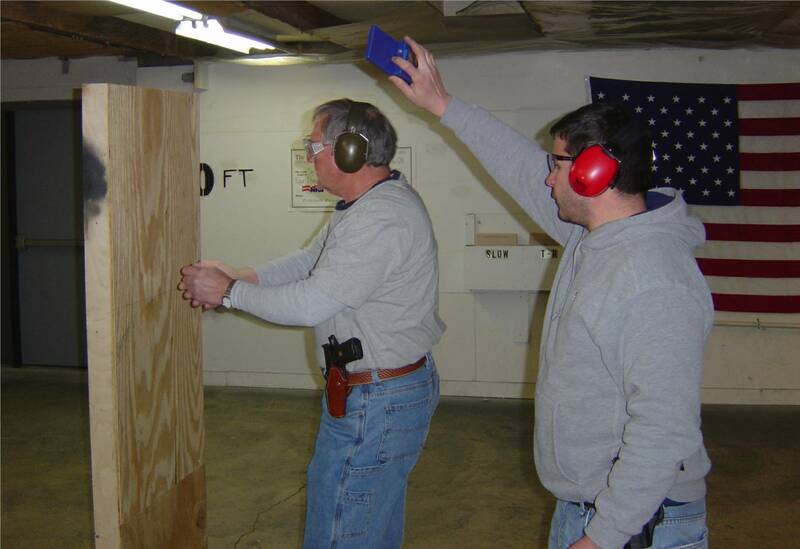 The Delaware State Pistol Club offers many competitive and recreational shooting activities for the entire family from beginner to the expert marksman. The club has an indoor heated range with a club house, bathroom facilities and is conveniently located in New Castle, Delaware. Non-competitive shooting is available for recreation and for the sighting of firearms. At our indoor range we allow only firearms chambered for pistol calibers not to exceed 1500fps. This award is presented to the member whose continual contributions to the Club’s programs exceed the standard. Presenting the award is Todd Morgan, DSPC President and Foster Rennie (Center). 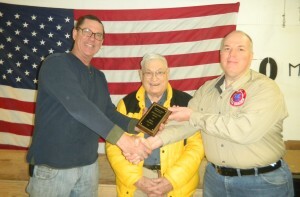 Dave Heckler (left) is the 15th member in over 50 years to receive this honor. Dave has donated his skills and time for 20 years to the NRA Youth Program held at the Club on Saturday mornings. Dave moved the program here with Foster Rennie and George Alves when the DuPont Fish & Game closed. His coaching over the years has given many youths the ability to achieve NRA rifle marksmanship honors. Among Dave’s other contributions to the Club are the weekly grass cutting and the annual Christmas tree & decorations. Attention Action Pistol shooters! Due to the increasing popularity of Action Pistol at the Club, the directors have decided to add more Action Pistol nights. Starting January 9th 2013, we will offer Action Pistol on Wednesday nights from 6-9pm every two weeks (in addition to the Monday Action Pistol night). If you need more information, please contact John Davidson. Hope to see you there!